A sweet and affectionate mummy mother’s day card with the glitteriest of stars. Mummies are magical, aren’t they? This is why I am almost certain that they are filled with all kinds of wondrous things. 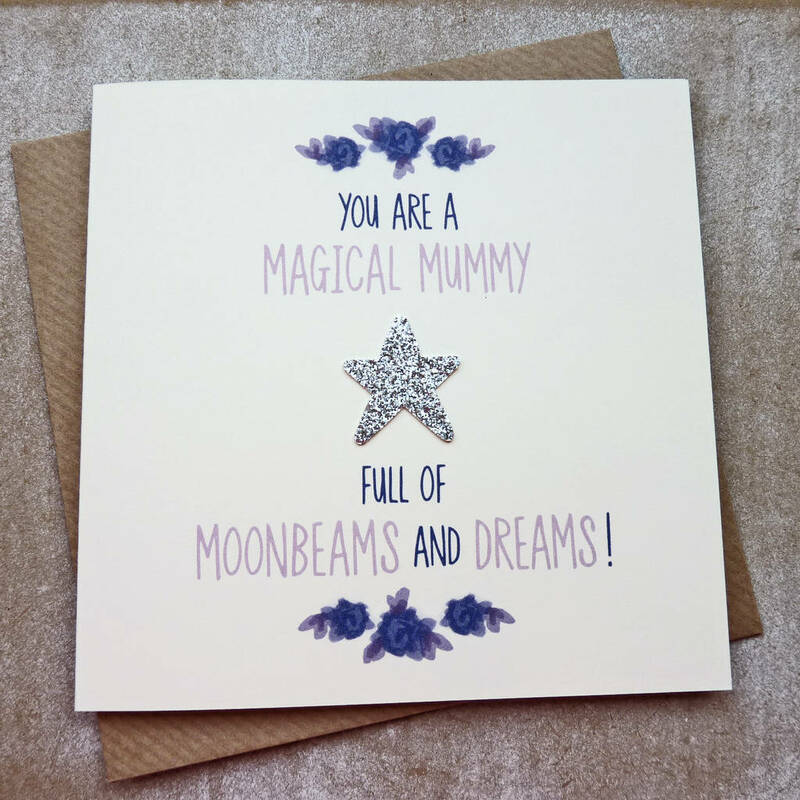 With a lovely heartfelt message this hand finished, silver glitter star card is just perfect for little children to give to their Mummy this Mother’s Day. 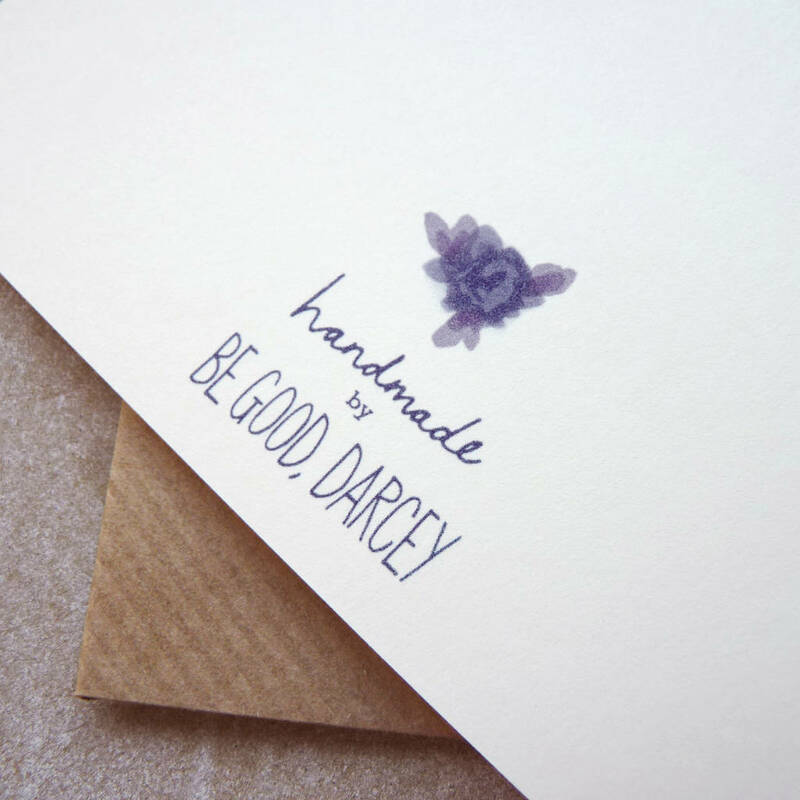 This hand finished Mother's Day card has a purple and lavender floral design that’s finished off this a small silver glitter star, to make it extra magical. The front reads "You Are A Magical Mummy Full Of Moonbeams And Dreams!" in purple and lavender on the front. 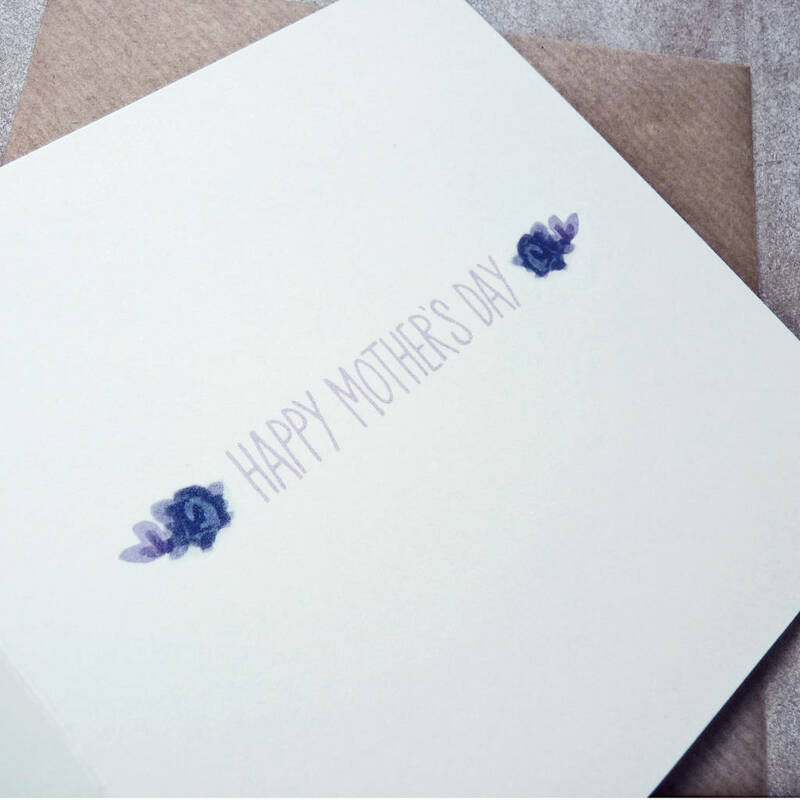 The inside reads "Happy Mother’s Day" in lavender finished with purple flowers. This card is available in Mummy or Mum wording options. Simply make your selection when placing your order. Each card has been finished with a hand cut silver glitter fabric star. After all, Mums are special and deserve the most sparkly of stars on their Mother’s Day cards.